First Sgt. Gina Aceves, the senior enlisted leader of Headquarters Headquarters Company, 1st Armored Brigade Combat Team, 1st Infantry Division, leads an accountability formation prior to the start of physical readiness training Oct. 12. Aceves joined the Army more than 20 years ago to provide a better life for her family, after living in financial hardship most of her life. For 1st Sgt. Gina Aceves, the dream of joining the Army began when she was in fifth grade when a meeting with an Army recruiter gave her an idea for how she could raise her family out of financial hardship and allow them to stay in the United States. Born in Berkeley, Calif., Aceves bounced back and forth between the U.S. and Mexico with her family as a child. Every time money would get tight, the family would return to Guadalajara, Mexico to save up more money to return to the U.S. When it came to Aceves’ education, the frequent moves back and forth between Mexico and the U.S. was extremely disruptive. During her time in Mexico, she would miss whole school years. Ultimately, though, she used the limited time she spent in school wisely. Graduating high school was the first step toward achieving her dream of providing a better life for her family, a goal she set for herself in fifth grade when she met an Army recruiter during career day. Upon graduating high school, she did just that. To date, Aceves has served in the army a little more than 20 years. Currently, she serves as the first sergeant for Headquarters Headquarters Company, 1st Armored Brigade Combat Team, 1st Infantry Division, based at Fort Riley, Kansas. Aceves enlisted as a generator mechanic and is proud to say that she spent the first five years of her career doing the job she was trained for. “That’s something a lot of generator mechanics can’t say because they go to a new unit and they’re automatically cross-trained to do other stuff without working on generators,” Aceves explained. Since then, Aceves has served in a multitude of positions within the units she served in, but one job holds the most importance for her. 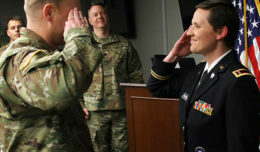 During her time as an AIT platoon sergeant, Aceves would regularly compete in various Army competitions, which led to her being named AIT Platoon Sergeant of the Year and a runner-up for the Combined Arms Support Command Ultimate Warrior Competition. 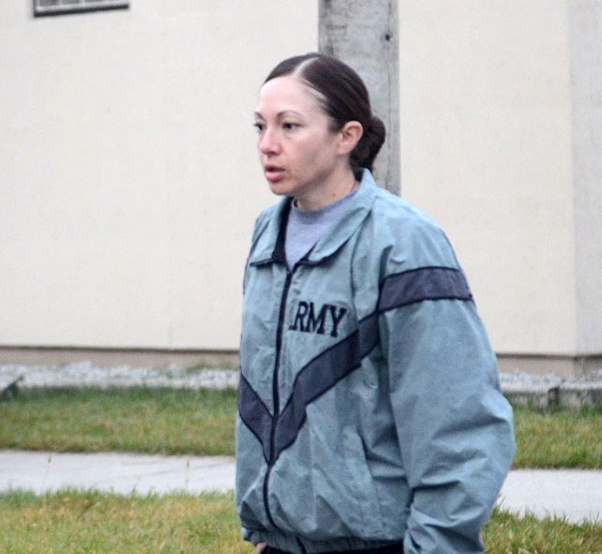 Now, as a first sergeant, she is responsible for the health, welfare, training, morale and professional development of approximately 200 Soldiers assigned to the 1st ABCT’s headquarters company. Another one of Aceves’ Soldiers, Sgt. Angiselis Feliciano-Martell, said she considers Aceves a role model. Both Aceves and Feliciano-Martell believe it’s important to recognize and celebrate the wide diversity of cultural backgrounds of all Soldiers. “At the end of the day, we have to remember that we are one Army and [we are all] brothers and sisters in arms,” said Aceves. Regardless of her Soldiers’ backgrounds, Aceves believes it is her responsibility to ensure that they are a success. Even with 20 years of service under her belt, Aceves said, she isn’t finished making a difference.